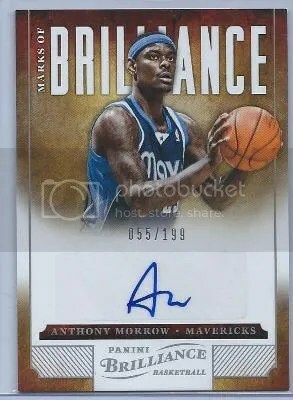 Congrats to Kevin on being the lucky winner of the Anthony Morrow 12-13 Panini Brilliance – Marks of Brilliance Auto #’ed/199. Once Kevin sends me his mailing address, I will ship this card ASAP. Thanks! One thing is for certain, Panini wanted you to know that this product is called Brilliance. The 300-card base set has the word “Brilliance” embossed onto each fun filled foil card. Its not small either. Its right in your face. Just like with many Panini products, the white box autographs are clearly seen throughout the set. 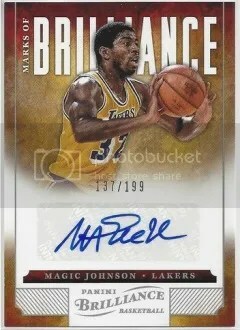 The Marks of Brilliance autographs at least have photos that slowly fade into a white area. Aside from the autographs and relics, Brilliance has a nice selection of inserts. Yes they’re covered in foil from head to toe, but I think they look good. Collectors seem to have taken an interest in them, although its nothing like the parallels from Totally Certified. Boxes are currently selling for $77.00. Each box should contain at least (2) autographs and (1) relic. You should also find (2) Starburst parallels and (13) other inserts. Overall, I give 2012-2013 Brilliance an average 3 basketballs out of 5 (1=poor & 5=perfect). 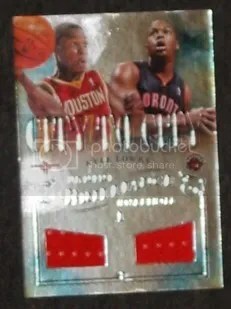 Its far from a perfect product, but I do enjoy the various inserts Panini gave collectors to look for. 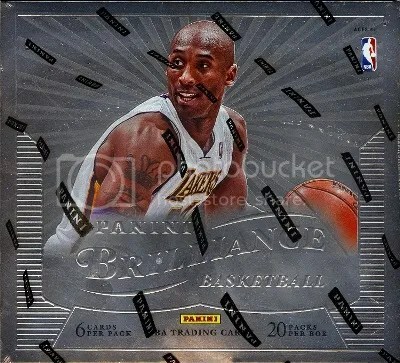 Basketball collectors really enjoy rare parallels and inserts. Lots and lots of foil!